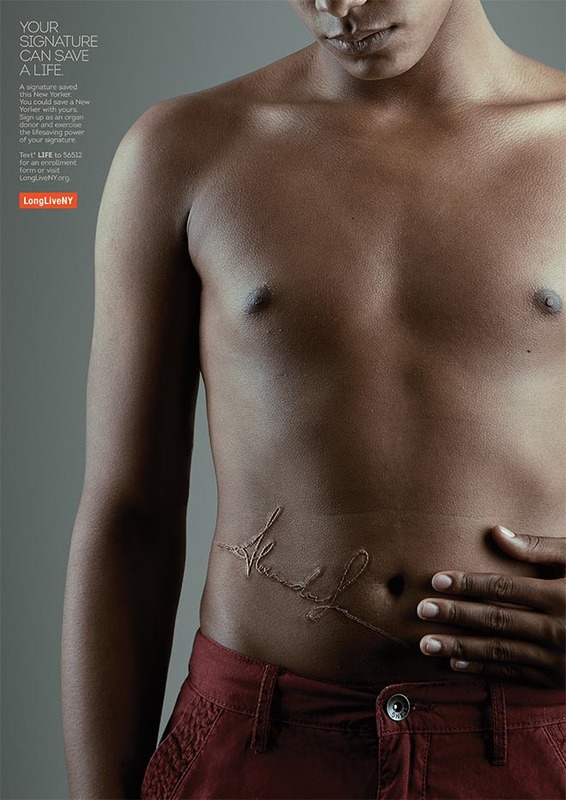 Long Live New York is an organisation focused on inspiring New Yorkers to sign up for donating organs. New York ranks last in the United States in the percentage of residents that are registered organ donors. Even more unfortunately, New York ranks 3rd in the country in residents that are waiting for a life saving organ transplant. The goal of these posters, running in NYC subways, is to let New Yorkers see the positive results of signing up to become an organ donor. 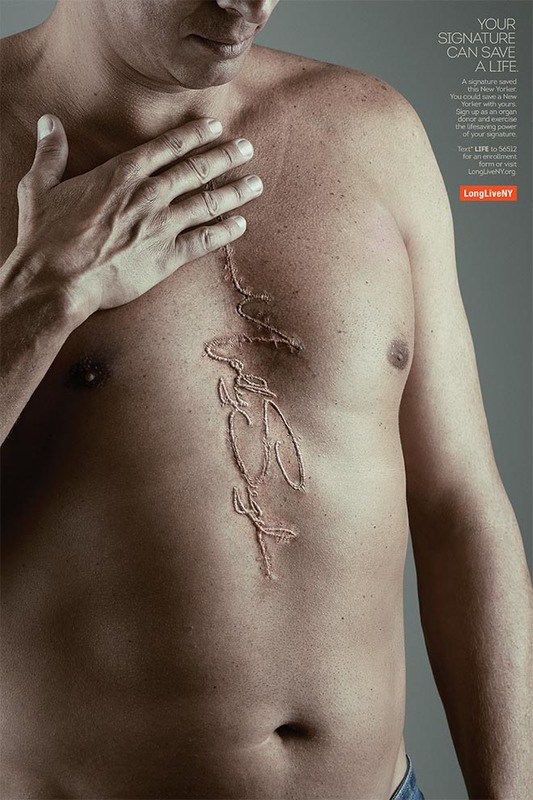 The Organ Donor Signature campaign was developed at Y&R New York by chief creative officer Leslie Sims, creative directors Miranda Gerlock-Dean and Josh Schildkraut, art director Guilherme Racz, copywriter Lucas Oliveira, art producer Cindy Pardy, account director Laurie Newsome, associate account manager Charissa Jones. Photography was produced at Zombie Studio.